In District 11, a groundswell of grassroots planning is paving the way to implement people powered community development. PODER and our allies in Communities United for Health & Justice, hit the streets with clipboards and mapping tools. Across culture and language we identified opportunities to meet the needs of working class young people, families, workers, and elders on over 30 opportunity sites in District 11. 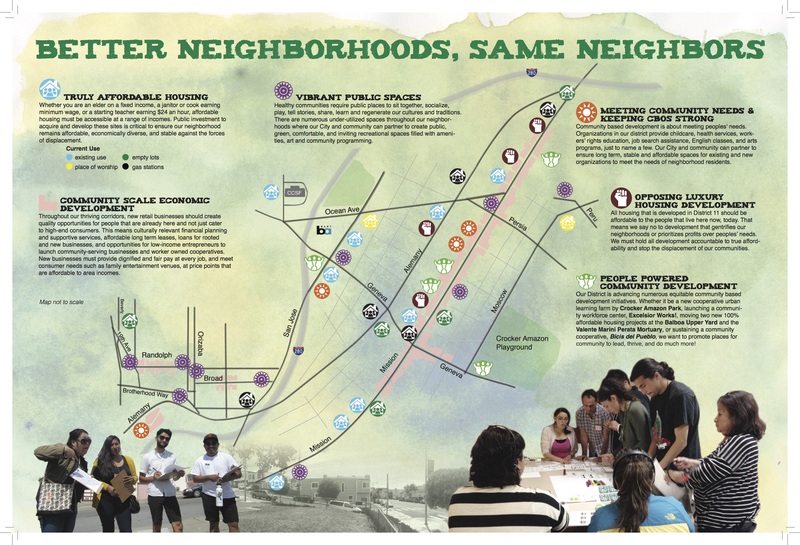 We envision equitable investment and development at these sites to stabilize our community for low income and working families and promote culturally based place-making. To learn more, download the attached community map.